For the Whovians down in Whoville. Now isn’t that clever? Love it! Cyber men and everything! 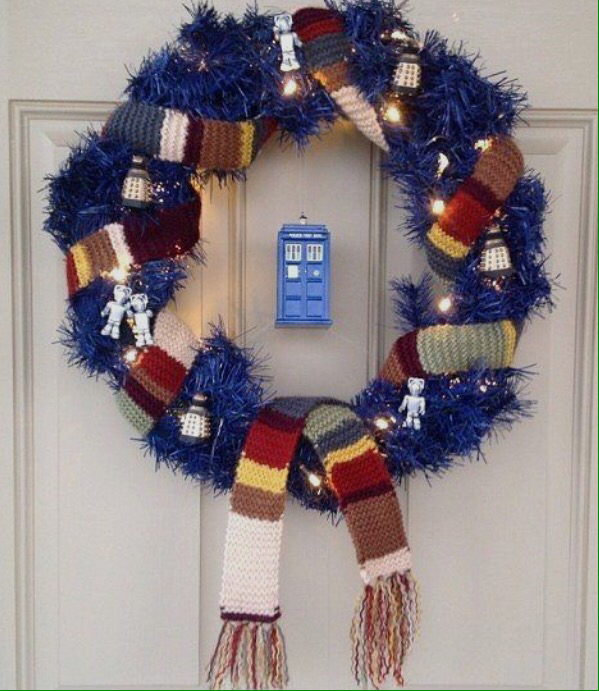 This entry was posted in Uncategorized and tagged christmas, christmas wreath, decor, geek, geekery, wreaths. Bookmark the permalink. ← The Force is Strong with Craftsy!